These are anything but basic. 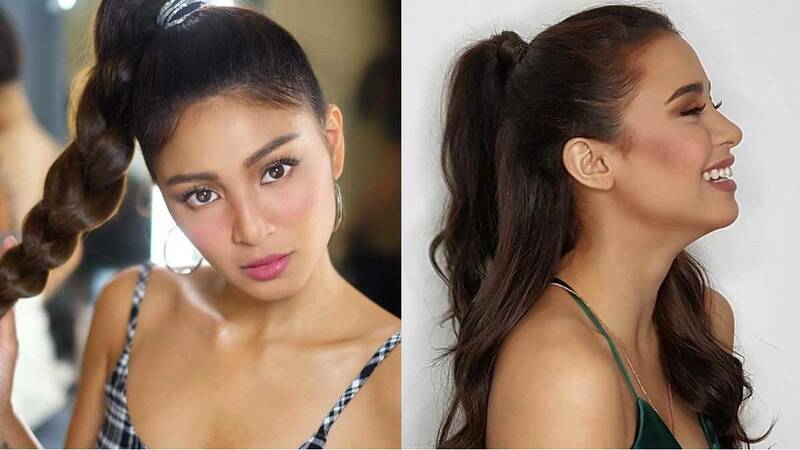 If you're running out of hairstyle ideas to wear on special occasions, turn to these hairdos that will keep your tresses away from your face and leave you looking polished and glam. Bonus: You can easily do these by yourself! A tight half-updo will highlight your face's natural bone structure. Feeling glam? Tie your hair up in a pony using a metallic elastic and braid the tail. Upgrade a messy top knot with a bold hairband, and swipe on a matching lippie! Alternatively, you can place a big bow or barrette below your bun. Wear your hair down and keep the strands away from your face by putting on a bejeweled headband. You get the best of both worlds, right?